I first saw these on ASOS and I was so intrigued! I just love everything about the product at first sight and I knew I had to go get them in store. Fast forward to when I was in boots, seeing them in person I had the exact same opinions and I knew I had to buy one. Liquid eyeshadows are something I’ve never tried so I’m really interested and as well this is my first Barry m product I’ve tried. It’s surprising but I’ve never ventured to them as a brand but after this I might have to go back. The affordable drugstore price of £4.99 & high pigment I got from the swatch, what’s not to love?? The shadows are described as ‘Crushed Jewel cream eyeshadow is overflowing with stunningly rich shimmery particles packed tightly into its smooth, lightweight formula. Its doe-foot applicator allows the formula to glide easily across the eyelid for a striking, metallic finish in 8 gorgeous shades’ on Barry Ms website. The packaging is gorgeous. I love the sleek matte black lid and the way the metallic comes though it’s just gorgeous. It looks so expensive as it’s simple yet really eye catching. I chose the shade ‘pillow talk’ which is metallic bronze (I think, I’ve saw it being called a cool toned gold) and I love it. I feel like it’s 2018’s version of on & on bronze as it’s like the perfect bronze shade I want. It has cool undertones but not too much which I like and a gorgeous shine to it when the light hits it! 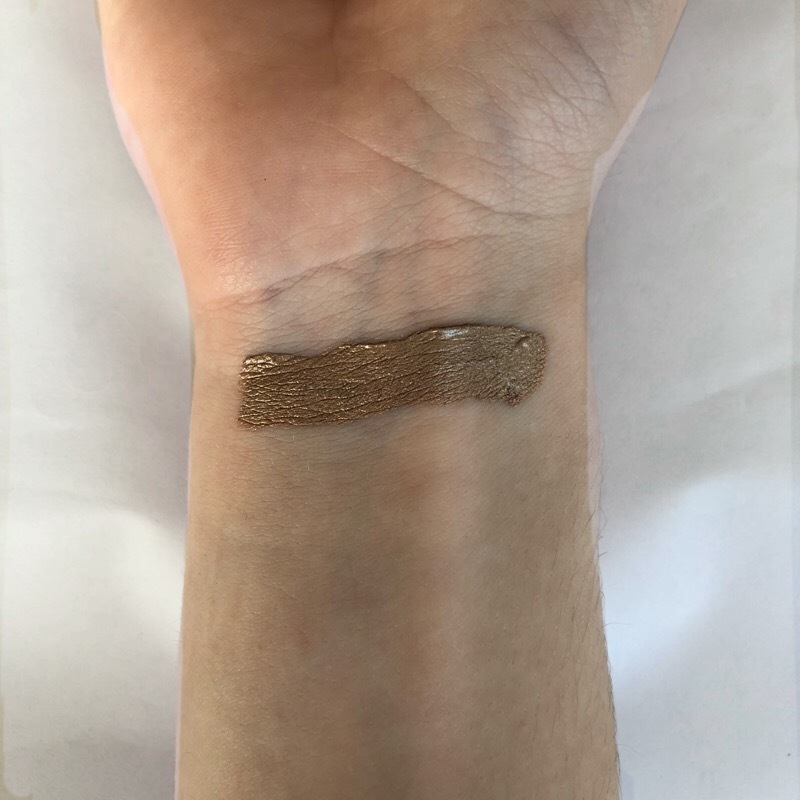 I think this is a gorgeous wearable shade and I think it could be built up or made natural. For the formula, I noticed the product does take awhile to dry down and with too much it one place it can look cakey. When it’s on the eyes it looks mesmerising! 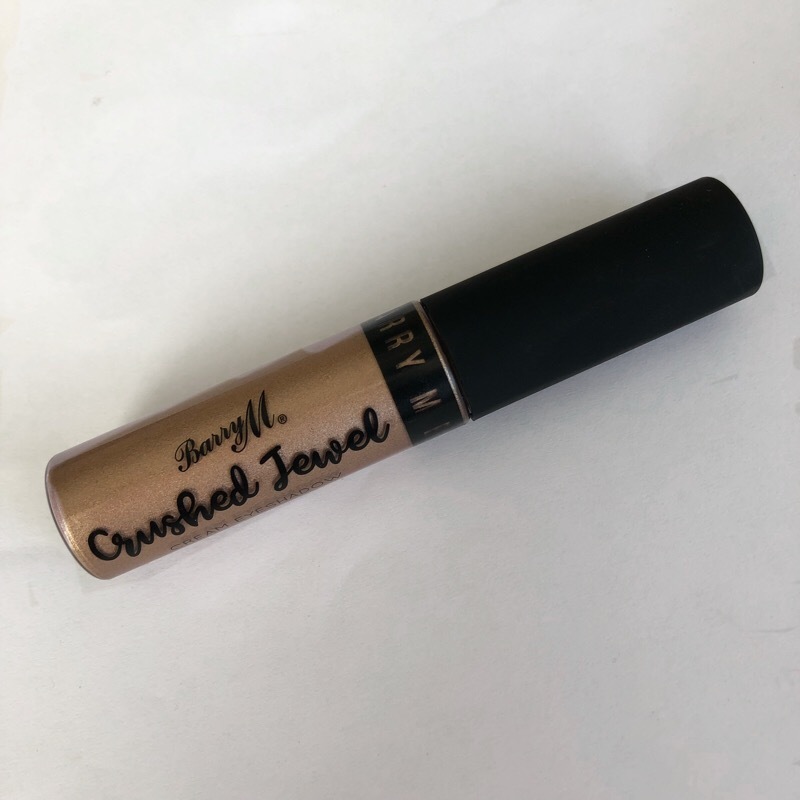 It’s so metallic and shiny, which is easily buildable and it’s so easily blended with your finger for a soft bronze sheer look. I’m not sure how it blends with a brush as I feel like this is a product I’d rather use my fingers with. The only possible down sides is It’s easy to remove with a wipe so I’m not sure how it would last under wet conditions and it can feel a little heavy on my eyes but it’s something I can get used to.